I got my first taste of Montana’s iconic Flathead River in the summer of 2011. Ten of us packed our gear in on mules through the Bob Marshall Wilderness to the confluence of Youngs and Danaher Creeks, the birthplace of the South Fork. It was a legendary high water year, and we were the first to run the remote upper section that season. Between portaging new logjams, scouting unknown rapids, and sawing branches off river-wide fallen trees to line our rafts under, it was the purest form of wild adventure. 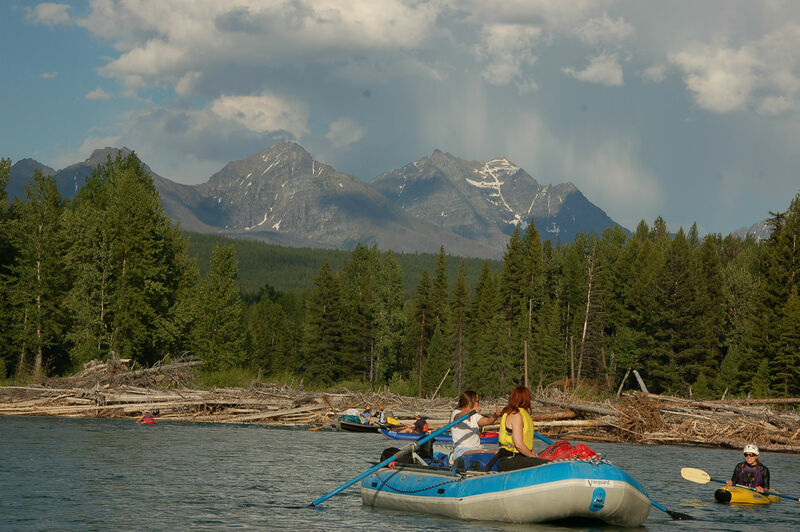 A few years later, I joined the pilgrimage of people that float the North Fork of the Flathead over July 4, with intensely beautiful views of Glacier National Park. It’s a communal river gathering that ends in the tiny, western, windblown town of Polebridge for a decidedly Montana-esque celebration of independence. And, then, last summer, I completed the trifecta, paddling a packraft for the first time down the renowned whitewater section of the Middle Fork. In short, the three Forks of the Flathead are incredibly special to me. And I’m not the only one. This is the river that inspired the writing of the Wild and Scenic Rivers Act 50 years ago, a piece of legislation that now protects 12,734 miles of river across the country. This year, on the half-century anniversary of that Act, the next chapter of the Flathead’s story is being written. And each one of us is invited to hold the pen. Every Wild and Scenic River has what’s called a Comprehensive River Management Plan (CRMP) that dictates how it’s managed to protect the things that make it special. The Flathead is just now beginning to update its CRMP for the next several decades. It could not be more imperative for us to speak up for these waters that set the bar in what makes free-flowing rivers so important in the American psyche. In 1958, the construction of the Hungry Horse Dam, which was a popular decision at the time, interrupted the flow of the lower South Fork of the Flathead. 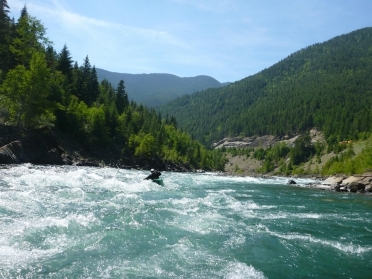 Then, over the next few years, proposals rolled into dam the Middle Fork in the Spruce Park section (a stretch now beloved as a wilderness Class IV whitewater run), and the North Fork between the Glacier View Mountain and the Smokey Range sections. 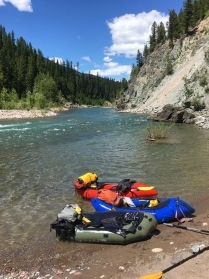 As the proposals gained momentum, Montana professor and conservationist John Craighead embarked on several float trips down the upper Middle Fork, the section to be forever altered by a dam. He came to the conclusion that some rivers should be protected as free-flowing. At a time when damming was at its height in the U.S. and backed by overwhelming broad national support, John and his twin brother Frank gathered together a group of Montanans to fight for the Flathead. A movement was born to protect the natural characteristics that made the three Forks special: their remote wilderness and solitude, blue-ribbon fishing, breathtaking scenery, and—at heart—their untamed nature that reflected the identity of Montana itself. 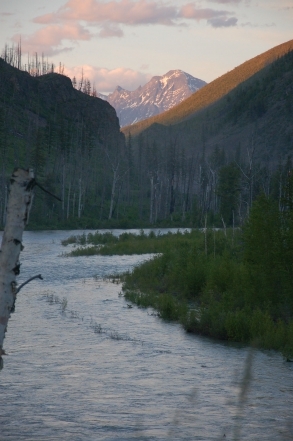 Out of that movement came the Wild and Scenic Rivers Act, written by the Craighead brothers and passed in 1968, fueled by the soul of the Flathead and the people who saw its true value. 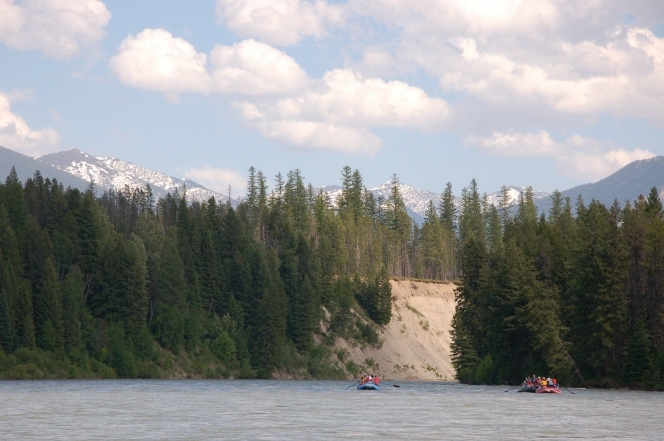 Now, as the three Forks of the Flathead river management plan comes under revision for the first time since 1968, we have a responsibility to carry that legacy forward. And I’m not just talking about Montanans. 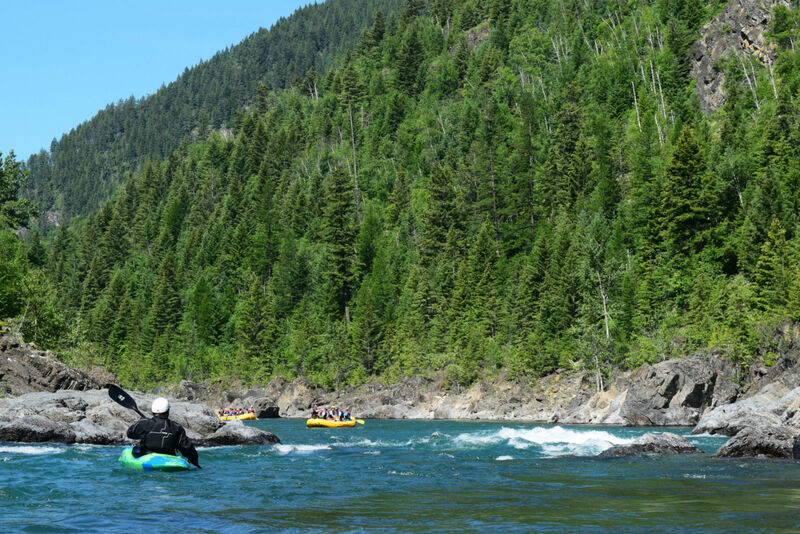 As a Wild and Scenic River, the Flathead is a national river that’s protected as a resource for everyone. 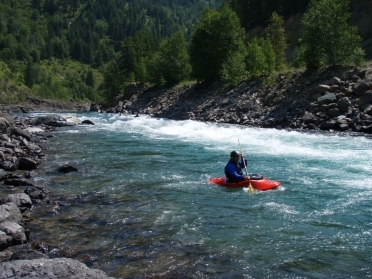 People travel from all over the country to fish on the South Fork, fly into the Middle Fork for a deep wilderness adventure, or float the North Fork with their families. It’s up to all of us to decide the future of these stretches and how they’re managed, both for us and for generations to come with the same visionary thinking as those citizens 50 years ago. It may seem intimidating to get involved in river management planning—after all, just the phrase makes people’s eyes glaze over. But that’s the beauty of a new campaign called Your Forests Your Future, run by a unique partnership between the Forest Service, the media company More Than Just Parks, and the NGO Salmon Valley Stewardship. It aims to engage people in the future of their national forests and everything inside them—from Wilderness and Wild and Scenic Rivers to trails, camping, and access issues—and makes it easy to join the conversation. The Flathead began a series of public sessions on May 16, held in northern Montana, to kick off updating its CRMP. It was the first of six sessions aimed at engaging the public in understanding the process and listening to their stories of what makes the three Forks important. It’s the preliminary engagement effort before the public comment period even begins in late fall, representing a deep dive into public participation which is a new model for USFS in getting people involved from the ground up. If you’re not in Montana but still want to be part of the conversation around this historic river, head over to the Flathead National Forest Facebook page for #WSRWednesdays to join the discussion and 50th-anniversary celebrations happening there. 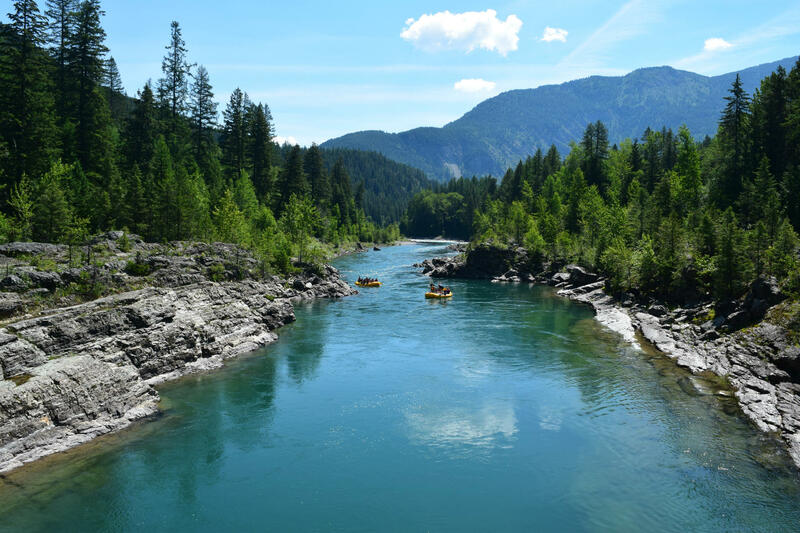 You can also visit the Flathead National Forest website for updates on how the public can get involved in the update to its Wild and Scenic Rivers management plan. The animated infographic below offers a quick, easy run-down on Wild and Scenic River management, why your voice matters and how you can speak up for the future of your favorite rivers. They’re your rivers, and it’s your future. Join the conversation. Editor’s Note: Guest contributor Cassidy Randall splits her time between Montana and Revelstoke, B.C., writing about adventure, public lands, and conservation. She also splits her time between paddling and swimming, given that her combat roll is apparently an ongoing work in progress. All photos courtesy of Kevin Colburn at American Whitewater unless otherwise noted.